Imperial Bathrooms prides itself on developing world-leading classically-designed bathroom products. Imperial products are manufactured using the finest materials, combined with craftsmanship that’s been handed down from generation to generation. Priding itself on developing classically designed bathroom products with an unrivalled contemporary edge, Imperial Bathrooms offers a full range of distinct designs which will stand the test of time. 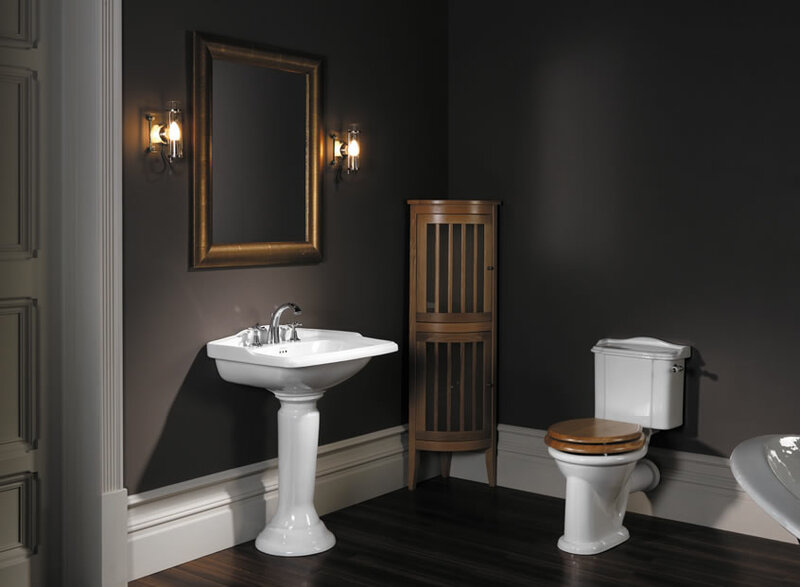 They have a comprehensive product range, including a stunning range of basin stands, a selection of opulent, deep-black glazed sanitary ware and a complete collection of elegant, period-style tiles. These are complemented by a host of luxurious accessories, including lights, mirrors and radiators, designed to complete and complement your perfect room. The combination of features ultimately creates beautiful, timeless and classic bathrooms to be enjoyed for years and years. Imperial take pride in producing unique products which will be the focal point in your bathroom, hand-crafting each individual piece with skills and experience passed down over generations. A number of Imperial Bathroom products can be seen at The Bathroom Company showroom, including a beautiful example of a bespoke-finish freestanding Raddison bath. We can finish the Imperial baths in any colour of your choice and apply a wide variety of effects, making it a unique feature of your new room. Drop in to one of our showroom to discuss the range in more detail.